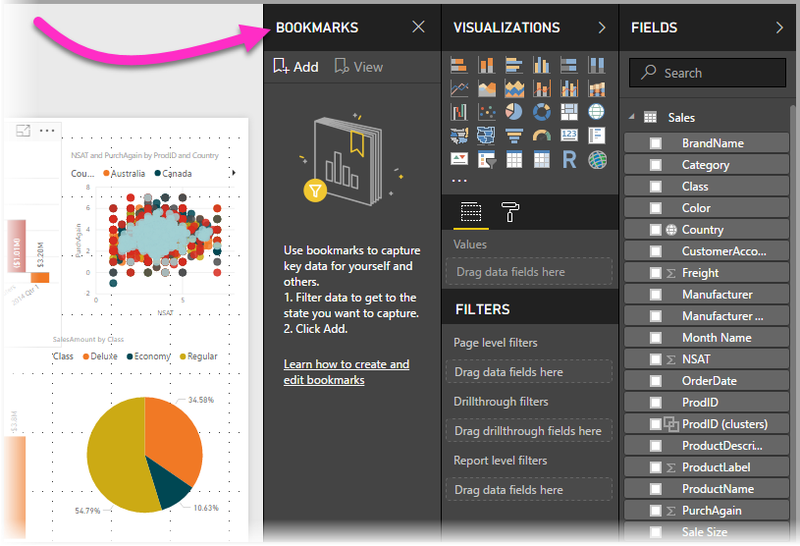 Use the New Bookmark Feature in a report for a chance to win a Power BI Super Swag Prize Pack! As usual, we want to see fun and creative uses of this new tool in a Power BI report. We want you to think outside the box to uncover intriguing ways to use the “Bookmark” feature to create interactive reports. Need inspiration? Check out this article by David Iseminger and Adam Saxton and also look at this video for some excellent tips. You can also find more information about the release in Amanda Cofsky’s latest blog post. To enter the contest, submit your report to the Data Stories Gallery on the Power BI Community and tag it with the “Bookmark” contest tag. Our panel of judges will evaluate the entries, and winners will be featured in a Power BI blog and win a Power BI Super Swag Pack! Judging criteria will focus on creativity and excellent use of Power BI and the Bookmark feature. Questions? Post them below or jump into the community discussion and read the official rules.